Mic channel and guitar channel; chorus and EQ; you and your acoustic! It's everything you need. 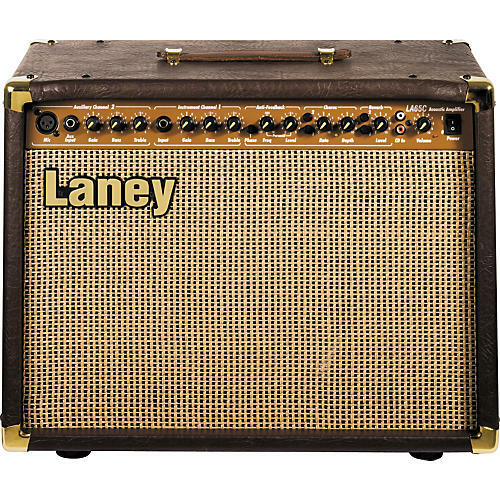 The Laney LA65 is a 65-watt, 2-channel dedicated acoustic guitar amplifier with chorus. The combo amp houses 2 x 8" custom designed drivers and horn. Channel 1 features an XLR input, Tape/CD input & volume. Channel 2 features an active & passive input, volume, chorus on/off, bass, Parametric mid, treble insert and line out.